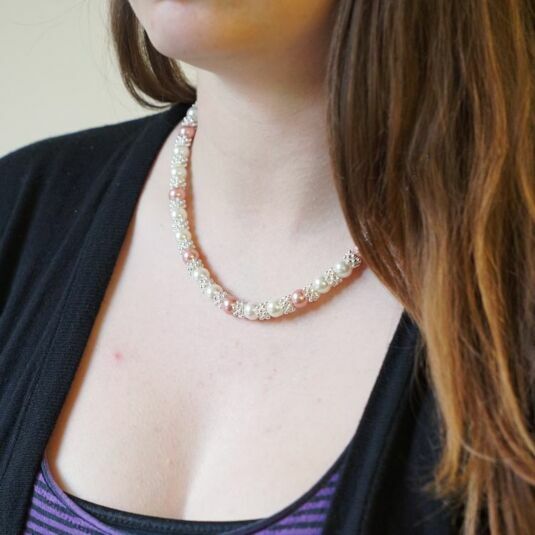 This delicate and sparkling necklace showcases a beautiful array of white and pink coloured pearls, nestled in-between a cluster of silver plated metal dividers. Further to this statement, a magnetic-close metal clasp is found to the back of the necklace, embedded inside a gem encrusted silver ball, with signature equilibrium silver hanging token attached. 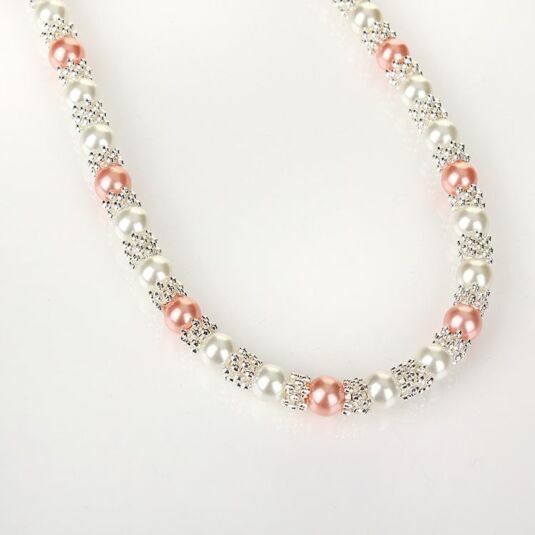 The necklace chain measures 43cm in length. 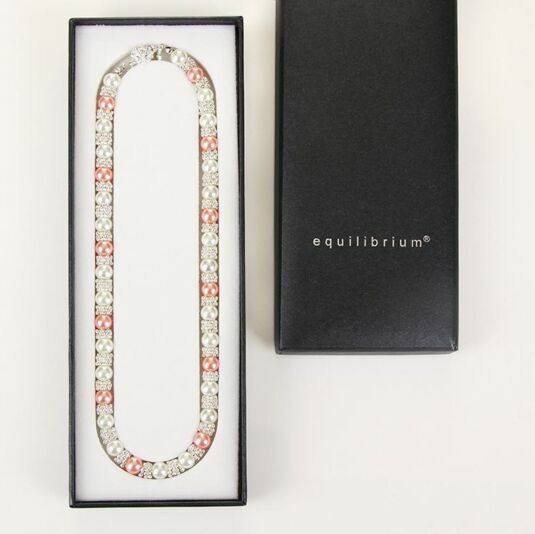 Beautifully packaged in a bold black Equilibrium branded gift box, this necklace would make the perfect present for any woman.